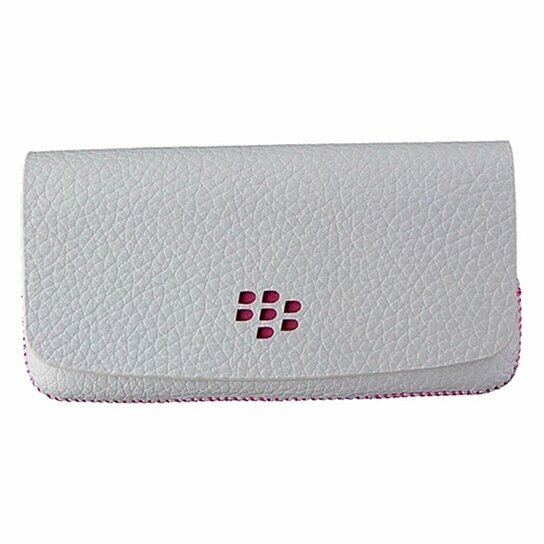 BlackBerry Horizontal Leather Pouch with Wrist Strap for BlackBerry Pearl 9100. White exterior with Pink trim. Small Mirror built into the interior.